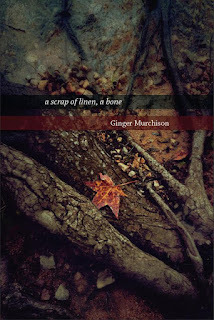 I am pleased to feature Ginger Murchison in The Poet on the Poem. a member of the conference faculty for the Palm Beach Poetry Festival, a regular guest at the Bread Loaf Writers’Conference, and Editor-in-Chief of the acclaimed The Cortland Review. She lives in Ft. Myers, Florida. Today's poem comes from Ginger's book, a scrap of linen, a bone. DL: Your poem is as thrilling as the ride it describes. 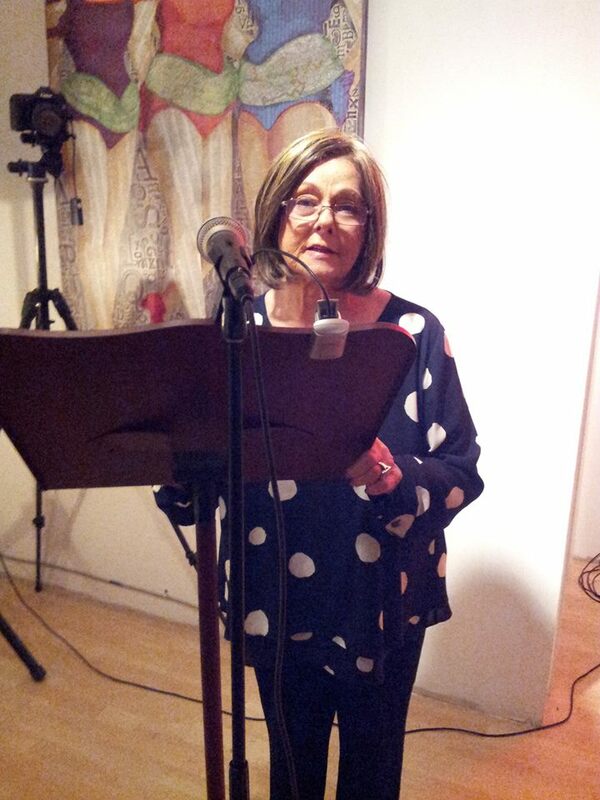 I think that the intensity and energy have something to do with the shape of the poem. Talk to us about that. Why the long skinny format? GM: I wanted the poem to feel like that ride. I settled on the short lines from the beginning because, first, I wanted the poem to look like a roller coaster, but beyond that, I wanted the reader, at the end of each line, jerked forward by the poem’s enjambments to the beginning of the next line in the same way riders are jerked side to side throughout a ride. Enjambments (line endings at a place other than a natural grammatical pause) can occur more frequently when the lines are very short, and because enjambments make the line work against the sentence, they actually create a subtle physical discomfort in the reader. At an enjambment, the reader stands at the end of the line with one foot in the air and nowhere to put it down. Off-balance, he’s seeking completion of the grammatical thought, so he’s compelled forward to the next line, then immediately, he’s at that unsettling place again. The reader’s movement through the poem is intended to mimic how we are tossed around on a roller coaster. The enjambment is a marvelous device in any poem where you don’t want the reader comfortable. DL: Your poem consists of one long sentence. What Is the intention behind this strategy? What do you think the single sentence adds that a series of sentences might lose? GM: Remember how a roller coaster eases out at the beginning, then inches up the long incline, and we’re holding our breath in anticipation? We don’t hold our breath because we don’t know what’s going to happen. We hold it because we know precisely what’s coming, and we’re breathlessly waiting for the thrill of that drop. Once it comes, the whole ride is over in mere seconds. There’s no stopping along the way, no place for breathing. In the same way, a one-sentence poem leaves the reader breathless at the end. “The Double Play,” by Robert Wallace, is a one-sentence poem I’ve taught for years. Visualize that single fluid movement of the 5 players involved in the double play. Wallace’s poem uses grammar to enact that exactly. My college baseball players are surprised at the fluidity in that poem—how the ball moves forward player to player without the slightest hesitation in the telling. Only a single sentence could do that in the same way that only a single sentence could describe that roller coaster ride. Grammar, if you let it, does a lot of the heavy lifting in a poem. DL: You use a lot of hyphenated words, sometimes singly as in “nerved-up,” “stiff-starched,” and “solid-ground.” Other times you have hyphenated words in a row, e.g., “slow-grind rackety-clack one-inch cog” or “eyes-shut, heart-stopped drop.” How did you land on this technique? Why employ it? GM: I remember how, standing in line, we’d work up the courage to actually get on the roller coaster. “Nerved-up” seemed a good way to say that, and sometime later I added "enough." I liked the “uh-uh” that carried its own ambivalence. As the roller coaster made its “slow-grind” to the top, I wanted the reader to hear and feel that nerve-wracking “rackety-clack” that the chain lift made on the way to the top. I looked for words I could hitch together the way the cars were hitched together. A few lines later when we’re “a hole in the sky / wholly abandoned,” I wanted to initiate speed exactly where the roller coaster plunges into the “eyes-shut, heart-stopped drop.” It's almost impossible, reading aloud, not to feel yourself speed up at that point. “Eyes-shut, heart-stopped drop” reads faster with the hyphens than without, and the enjambments contribute to hurtling the reader forward. Even the smallest detail can add something fairly dramatic to a poem. We should pay attention to every opportunity our poem offers. Please comment on your use of devices of sound. Did they emerge intuitively or were they sought after? At what point in your drafting, did they appear? What role did they play in revision? GM: Thomas Lux taught the first poetry workshop I took. He said then and still says that poems are “made things,” so it’s not far-fetched that those Georgia Tech engineers can make poems out of the same attentiveness they’d pay to making a bridge. I love that poetry is a craft, and I love its devices. That internal rhyme you point to, stacked as it is into that curve, hopes to keep up the speed and make the reader feel a bit tossed side to side as the poem flings those blended sounds right then left. We are good readers. Our eye notices the “ur” in “curve” and “blur” before we get there. Then those internal rhymes pile up, and at “air,” the eye’s already moved on to “prayer,” registering that sound even before it’s spoken. Then “spun” starts that rolling “un - un - un” that gets “flung” right in the face of “ur - ur” at “curve swerving.” Notice how fast we’re moving through the poem at this point? 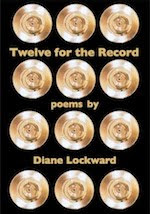 The internal rhymes push the speed into the “blur” of the “curve swerving,” and the poem has its own kind of centrifugal force, and it's a felt force. “Sins” and “since” appear at that most vulnerable short-vowel sucked-in-breath moment right at the top where “we are a hole in the sky, / wholly abandoned,” a long-O moment, producing an appropriate “oh-oh.” “Dark darker” just aimed, like “lights brighter,” for the intensification of sensation—exactly what the roller coaster symbolized. I’m more likely to think about alliteration in revision. I’m guessing “stiff-starched” or an equivalent has popped into more than one poem of mine. I went to Catholic school, where I got an A+ education. I learned to love words and loved playing with how hard and soft sounds changed things, how changing a sentence's rhythm got different results. I got my grammar there, too, but in some respects, it was a “stiff-starched” world. I didn’t give myself permission to write a poem until I had quit teaching and had my “other work” done. DL: Towards the end of the poem you have a kind of turn line: “and isn’t this how we want / to live…” which moves the poem into metaphor. What was the original goal of the poem? At what point did you know you were going to transition into the metaphorical? GM: "Roller Coaster" was born out of a conversation with some high-school buddies reflecting on our memories of Joyland, an amusement park in Wichita, Kansas. I found a YouTube video of the supposed last ride on that roller coaster, and I watched it dozens of times. I wanted to put that roller coaster back in action for my classmates, to recreate the sensations we remembered. The devices we’ve talked about here helped me with that, but the transition you noticed showed up for me, first, in that “out on the edge” moment, “beyond the solid-ground world / parents live in.” It was at that peak of the poem’s and my experience that the roller coaster became a vehicle of my moving beyond them, so you’re exactly right. That plunge led directly into a metaphorical turn, and that’s where the surprise was for me—how all the poetic devices stop at exactly that spot, how the poem slows down, how that roller coaster, a metaphor for my own sense of self, could “leave the ground / flinging sparks….at war with mere air” and yet not break any of the laws of physics and mechanics that kept it on track. That’s said, in some way, in many of my poems. I was part of that generation of women for whom objects like the roller coaster, like the river, like a book or an orchid or an echo served some part in a recognition of self, why a scrap of linen, a bone has a confessed archaeological overarch. Thank you, Diane, so kindly for your questions and thanks to all your readers who’ve stuck with me this far. I love a chance to talk about what happens in a poem. At the beginning of an Iowa Summer Seminar with Richard Jackson, he asked us what we wanted to learn. I said I wanted to learn to read like a writer, not to simply conclude what I liked and didn’t like, but to find out what the poet had done inside the poem to manipulate my response. A good poet has to be a good reader. I’ve had excellent teachers. Readers, please listen to Ginger "Roller Coaster." Readers, it looks like I'm not the only one who admires Ginger's poem. Garrison Keillor read "Roller Coaster" on April 14 on The Writer's Almanac. I’m pleased to announce that the first book from my new press, Terrapin Books, has just been released. 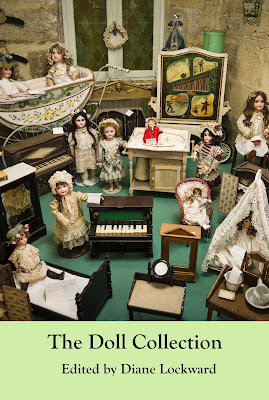 The Doll Collection is an anthology of poems, the first-ever collection focused on dolls. Our first submission period resulted in an amazing number of submissions, so many that selection was very difficult. But I’m satisfied that the 88 outstanding poems by 89 outstanding poets make for an exciting and varied collection. Poets include Patricia Fargnoli, Ann Fisher-Wirth, David Trinidad, Richard Garcia, Cecilia Woloch, Michael Waters, and Alice Friman. Visit the website to see the entire list of poets. I’m also very pleased with the cover. I initially had a cover image that I found on Fotolia. The image included some antique dolls in front of a dollhouse, but, while I loved the image, it just wasn’t working out in the cover design. So I went back to Fotolia, uncovered the photographer’s name, and googled him. The Google search led me to Emanuele Mazzoni on Facebook. It turned out that he lives in Italy. So I private messaged him at Facebook and asked if he had any similar images. He had many and was happy to send them to me. I fell in love with the one you see on the cover. The photo was taken at a doll museum in Provence, France. At this point I’ve sent out all the contributors’ copies and am planning some events. The official book launch will be on Sunday, July 17, at my local library in New Jersey. The librarian is working on lining up a doll exhibit to accompany the reading. One of the poets has offered her doll collection for loan. Several of the poets, it turned out, are also collectors. Save the date if you’re anywhere near West Caldwell, NJ. 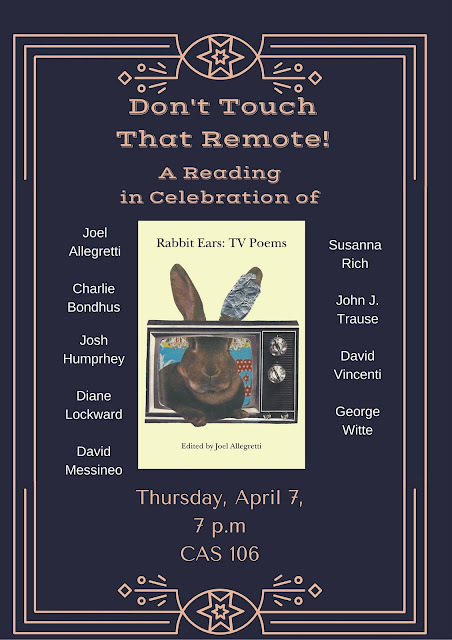 Right now it looks like we’ll have 15 poets joining this celebratory reading. I hope you’ll pick up a copy of The Doll Collection. As many of the contributors have noted, the book also makes a great gift. The Doll Collection shows us that dolls are windows to other worlds. Dolls are portals to our pasts and to ourselves. Dolls open the doors to our imagination. This should be a lovely and special poetry reading. Charlotte Mandel will read from her new book, Through a Garden Gate. This is a book of poems inspired by the different settings in her son-in-law's spectacular and huge garden. The book includes color photos taken by the son-in-law. The reading will be accompanied by a slide show. Refreshments follow the reading. 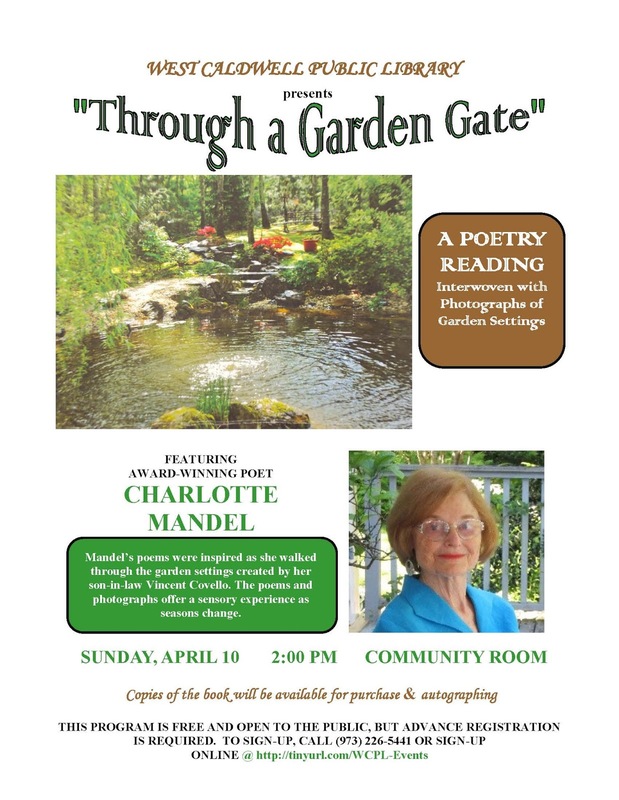 Please join us at 2:00 on Sunday, April 10, at the West Caldwell Public Library. This Thursday, April 7, I'll be reading with seven other poets from Rabbit Ears: TV Poems, along with editor Joel Allegretti. 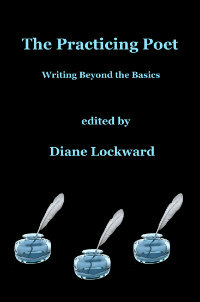 Each poet will read his or her own poem from the anthology and one other poem selected for us by Joel. Serendipity compelled Joel to choose for me a poem by Karla Huston, a poet who lives in Wisconsin and who I know in a long-distance kind of way and have met in person at a few Dodge Poetry Festivals. I think that if given the choice I probably would have chosen to read Karla's poem. The reading will last approximately one hour. Try to join us.